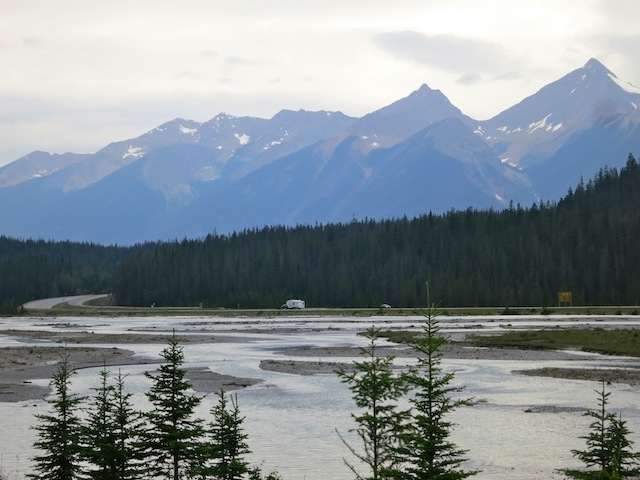 Meeting people on the Rocky Mountaineer is one of perks of taking this scenic train trip through the Canadian Rockies. But what’s the secret of ever-lasting rail popularity? If you want to know how to impress others without once shouting ‘All Aboard’ at the top of your lungs, read on. With these foolproof tips you can’t go right wrong. One of my favourite pastimes when travelling is embarrassing myself and those around me by talking at to strangers. 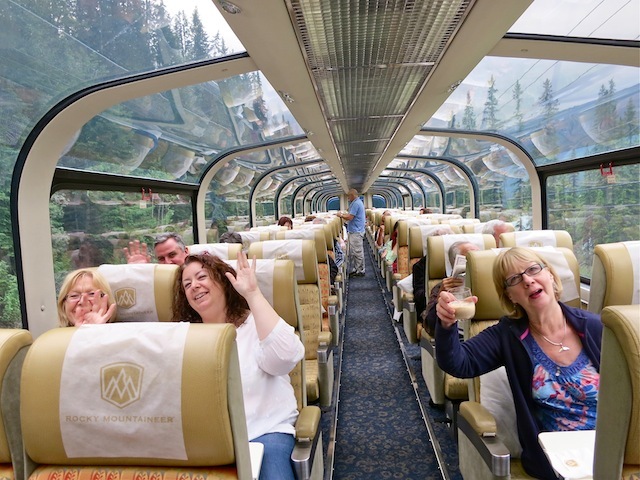 And it’s very possible I embarrassed Jeff Pelletier, Communications Coordinator at Rocky Mountaineer who was stuck, er, privileged, to sit beside me in a GoldLeaf car on The First Passage to the West luxury train trip from Vancouver to Banff. But isn’t meeting people one of the joys of travelling? How else will you find out their deepest darkest secrets and satisfy your tabloid-hungry curiosity? Secrets which you would never ever impart to others (Jeff grows giant pumpkins! ), and if you’re not going to start the conversation, who is? Even if you’re not an Extrovert Times Ten, don’t worry. 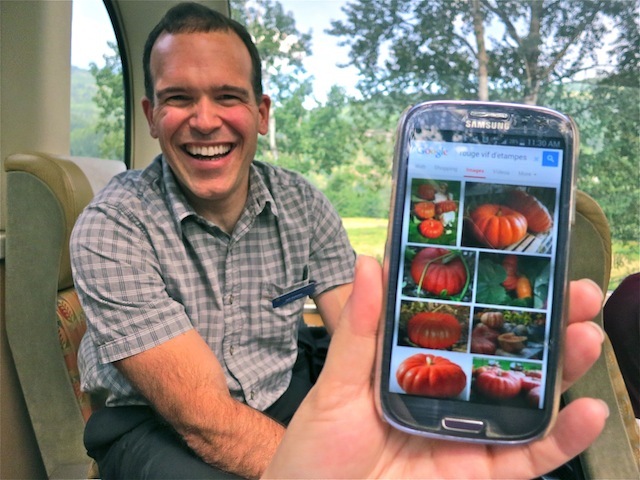 There are plenty of ways of meeting people on the Rocky Mountaineer. And these tips should work well for any scenic train journey – in fact, they may even change your life! 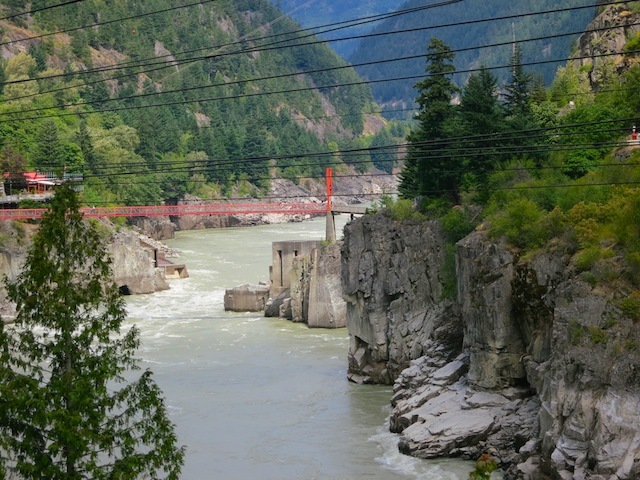 Is a Rocky Mountaineer trip worth taking? Now let’s get to work! 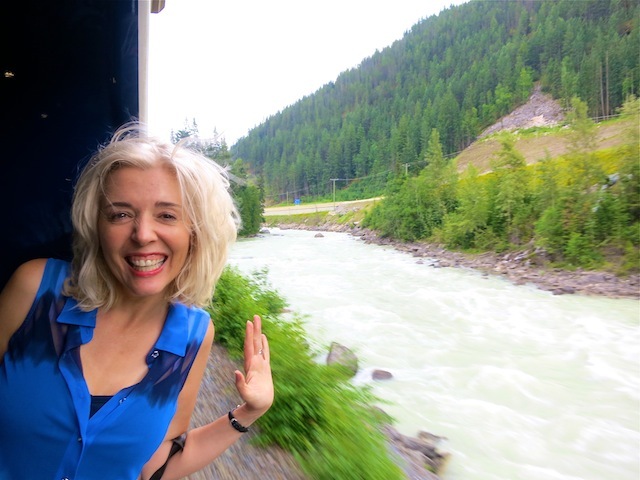 Here’s how to meet people on the Rocky Mountaineer. Upon hearing this your potential new friends will think you friendly but not very bright because, as they have chosen to travel by train, and are presently sitting on a train, chances are that they like trains very much. But don’t worry – you’ll impress them with your brilliance soon enough. The important thing is that the conversational ice is broken! Where are all my new friends? At this point, if they have shut their eyes, blocked their fingertips and are singing ‘la la la’ you will have to raise your voice to establish a meaningful friendship. If they don’t reply, try a follow up, such as: “AIN’T THAT A KICKER? Once you have established a warm rapport and are on your way to a lifelong friendship move on. 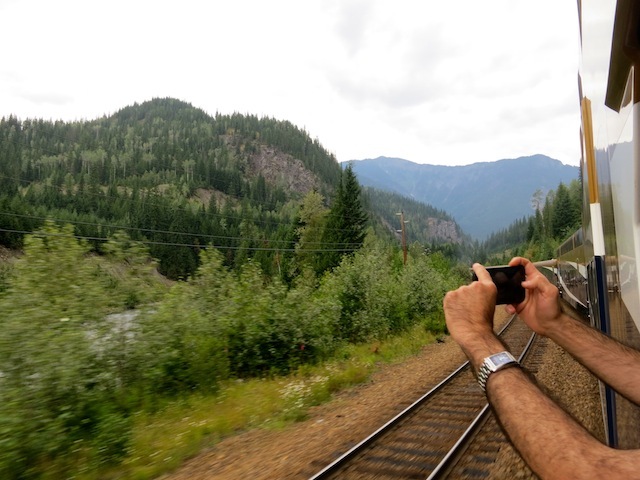 You can’t meet enough people on the Rocky Mountaineer! Here’s the perfect opening gambit: “Say, you must be Australian?” Since a high percentage of travellers on the Rocky Mountaineer are Australian, they’ll immediately jump and down and applaud your perceptiveness. 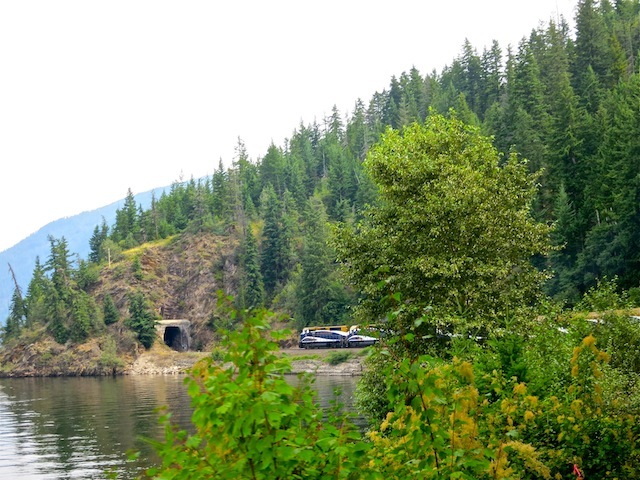 People love the Rocky Mountaineer and they’ll love you because you’re on it. Practice your regal wave before you board, wave to every person you see while travelling, and don’t think you have to stop once you’ve left the train. 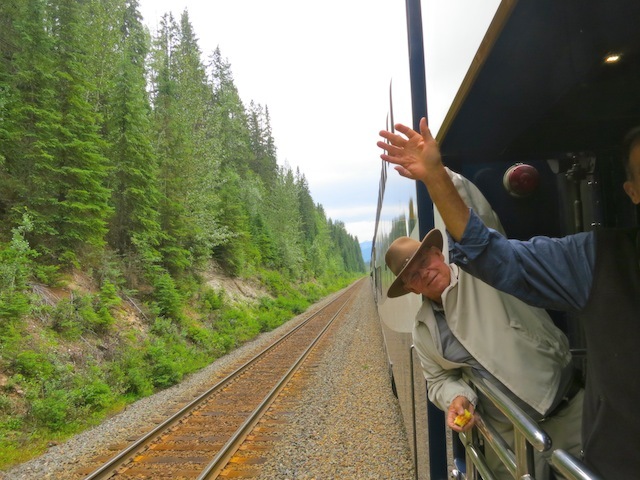 Waving is a Rocky Mountaineer takeaway that never loses its appeal. Try it in the supermarket or on a city bus – passersby will smile or even laugh at with you because you’ve made them so happy. 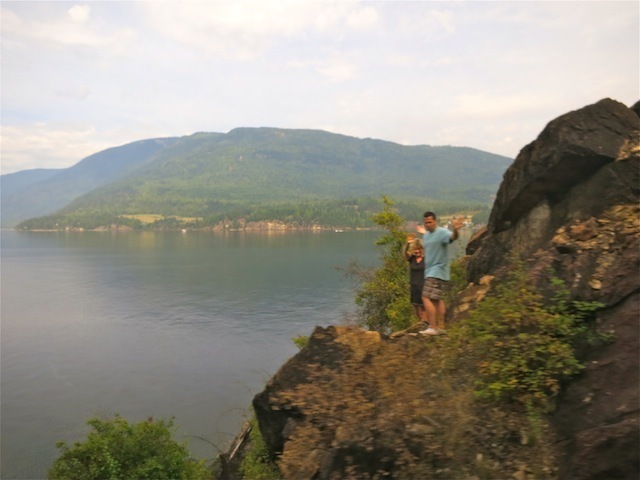 Now that we’ve established how to meet people on the Rocky Mountaineer, let’s discuss where to meet them. I can only vouch for the GoldLeaf car, as that’s the class I travelled in, but I’m sure the SilverLeaf and RedLeaf cars are just as friendly. Any train is. Just say to yourself: Trains aren’t just full of people, they’re full of soul mates to be! 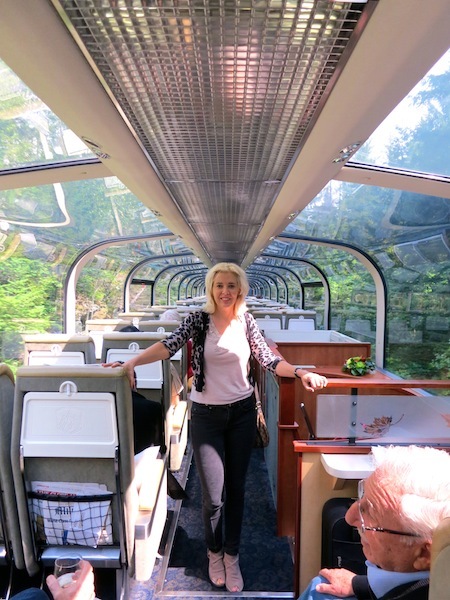 But first, another important recap: What is the Rocky Mountaineer GoldLeaf car? GoldLeaf is the Rocky Mountaineer’s first class category. GoldLeaf cars have two levels, an upper level glass domed car for sitting in (and for having the occasional cocktail in – another icebreaker!). 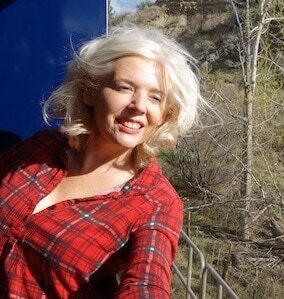 Downstairs is the Dining Car, and so is the coolest thing ever, the Vestibule, an outdoor viewing car where you can get all windblown as you watch the mountains and glacial streams go by. One word of advice: Don’t get so caught up in your Roasted Golden Beet Salad with feta cheese and raspberry vinaigrette or your Wild Barley Risotto that you forget to chat! More advice: Try not to eat your beet salad and talk at the same time. Hang out in the Vestibule Car at all times in all forms of weather. This is where you will meet the photography enthusiasts, and if they’re too preoccupied to talk to you because they’re busy taking pictures, poke your head out over the side (not when a tunnel is approaching obviously) and snap your own shots. Immediately they’ll see you have shared interests. Oh, sorry. Am I in your way? If they don’t reply because they’re looking into their camera, nudge them. If that fails, jump in front of the camera and point out where the grizzly is! They’ll thank you for taking their photographic interests to heart. And this is fun. When you’re passing some spectacular landscape such as the perfect combination of misty mountains and teal blue stream, creep to the front of the viewing car and jump up waving your arms so you can photo bomb their shot! Oh, they’ll laugh at that super rambunctious joke, and you’ll make friends for life. Don’t think disembarking is simply a time to get off the train. Use this end-of-the-day opportunity to delight your train mates. If that doesn’t work, it’s time to draw out the big guns. Everyone loves insider gossip. Simply shout after them: “SAY, DID YOU KNOW THAT JEFF, THE GUY AT THE BACK OF THE CAR, GROWS GIANT PUMPKINS?” It’s a sure winner every time. 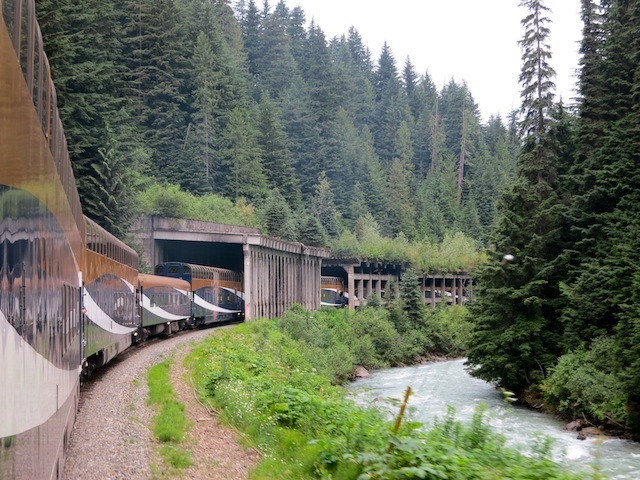 Learn more: Rocky Mountaineer offers more than 65 Canadian Vacation Packages. That’s a lot of people to meet. Visit the Rocky Mountaineer website for info. 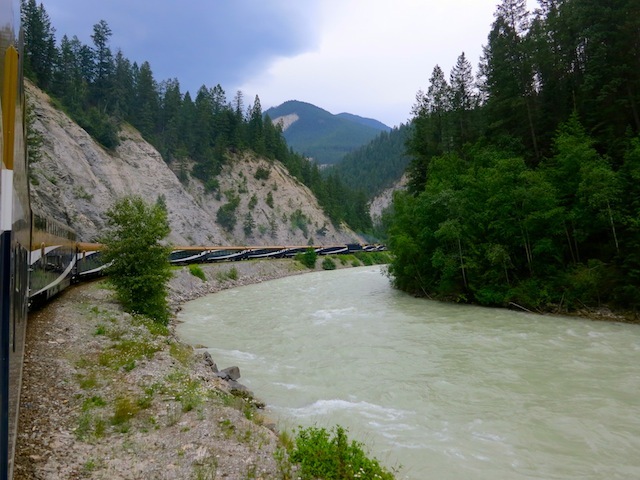 Read more about Rocky Mountaineer Routes. 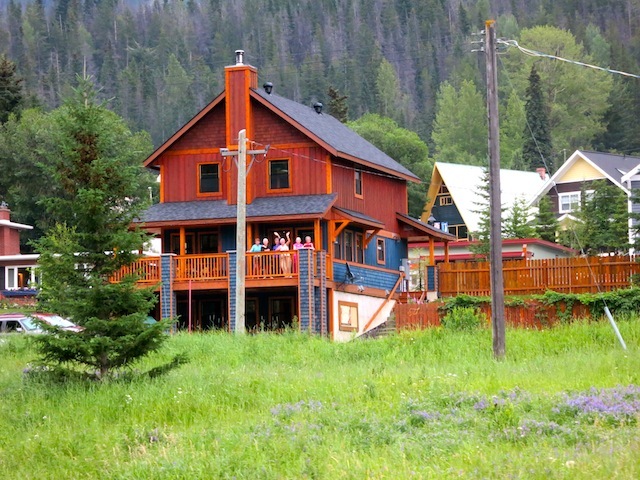 For more about travel to Canada: visit Things to do in Canada. Teresa, that’s THE most romantic train story yet! Now Carol…this is a real corker of a story. Such great tips for travel and for life!! Well done. Great advice Carol, I’m now ready to take my first train ride. Would you mind if I started my conversations with “my friend Carol says….”? You know, spread the love. lasted and it all started on a crazy adventure on a train through the Rockies. Mark and Chris, glad to see we all have such excellent social skills. 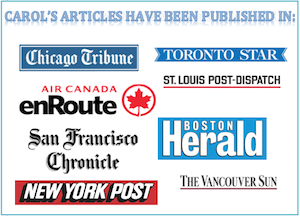 Carol, great post with many useful tips that I’ll have to try out on my next vacation. Another tip that I often use myself is to pepper my travel companions with constant questions about the local culture or mode of travel. I find it gives them a chance to show off their knowledge and helps endear me to them. Carol, I was the ‘gooseberry’ in the dining car, on being seated…The conversation would start,,,”Why the RM then…? “So I’d start off by saying: “it all began in 1900, when a cousin of my grandmother was dragged from a railway carriage built for the Lunatic Express, by a man eating lion & he was devoured nearby…… Prior to that event he, and his 2 companions had been sitting on the vestibule had noticed what they took to be 2 very bright & steady glow worms not far away in the bush, etc, etc”. It was already too much information….